The all-new 2017 Ridgeline from Honda continues to raise its profile. After recently being named 2017 North American Truck of the Year, the vehicle has just earned the highest possible 5-star Overall Vehicle Rating from the National Highway Traffic Safety Administration, making it the only pickup truck in America to earn the highest safety ratings from the NHTSA and the Insurance Institute for Highway Safety (IIHS). 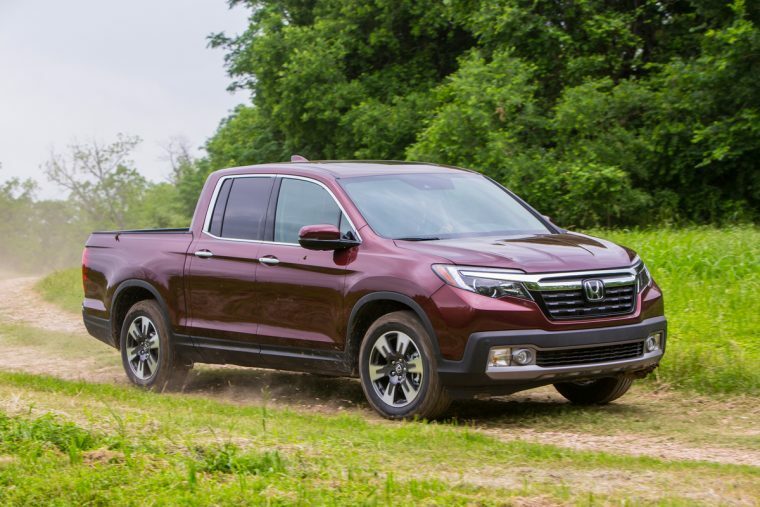 The Ridgeline already held the distinction of being the first and only pickup to earn a Top Safety Pick+ rating from the IIHS. The vehicle earned its latest rating from the NHTSA by scoring a 5-star Overall Vehicle Rating in the New Car Assessment Program (NCAP), earning 5 stars in the frontal crash tests for both driver and passenger, 5 stars for side crash tests for front and rear seats, and 4 stars in the rollover test. The Honda Sensing suite of safety features comes standard on the Ridgeline RTL-E and Black Editions, and helps reduce the chances and effects of collisions through technologies such as Collision Mitigation Braking System (CMBS) with Forward Collision Warning (FCW), Road Departure Mitigation (RDM) with Lane Departure Warning (LDW), Lane Keeping Assist System (LKAS), and Adaptive Cruise Control (ACC). There are currently over 300,000 Honda Sensing-equipped vehicles on US roads today. When equipped with Honda Sensing technology, the Ridgeline has earns a Superior rating from the IIHS for front crash prevention. All 2017 Honda models, including the Ridgeline, also come equipped with a multi-angle rearview camera. Other standard safety equipment found across the Honda lineup include Advance Compatibility Engineering (ACE) body structure, Vehicle Stability Assist (VSA) with traction control, Anti-lock Braking System (ABS), side curtain airbags, advanced front airbags, and front side airbags.